Custom Decorative Sandblasting services. Glass Windows, Doors, Wall Separations, and more. Inquire Today. 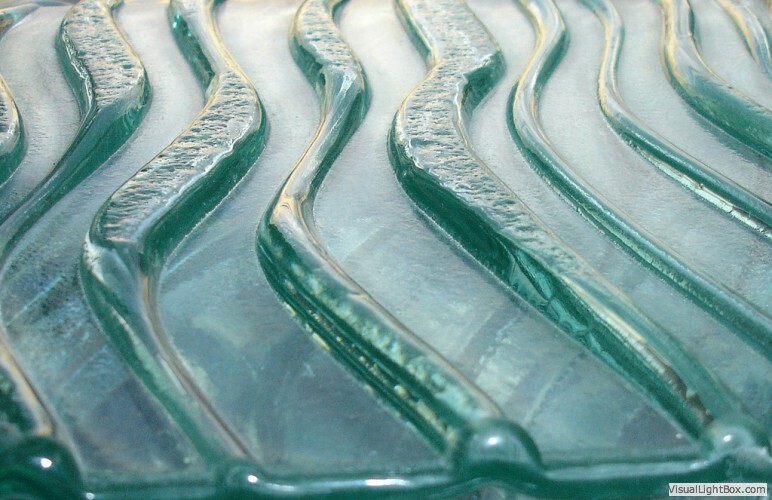 Custom Glasswork Services. Sandblasting, Etching, Carving. Unique designs and textures available. Inquire Today. Custom Designed Water Features for Home & Commercial Use. Inquire Today. Custom Etched and Sandblasted Address Tiles. Inquire Today. 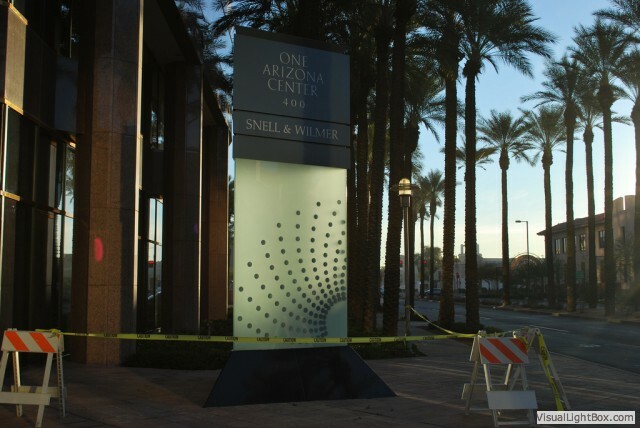 Arizona Center Landmark Sign. Custom Sandblasted glass and Address Tile monument sign. 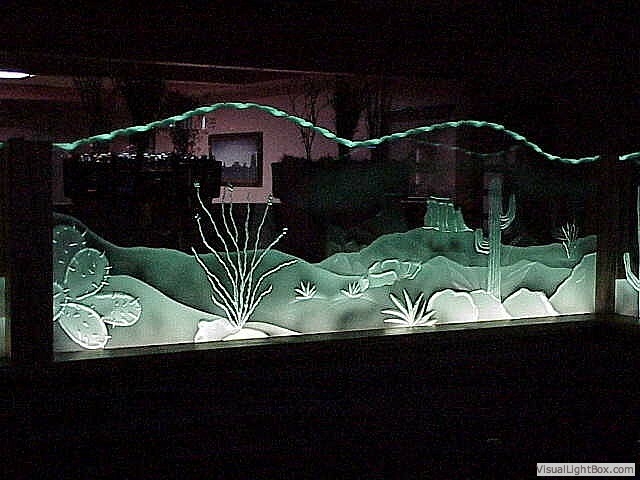 Decorative Sandblasted Glass Restaurant Median. 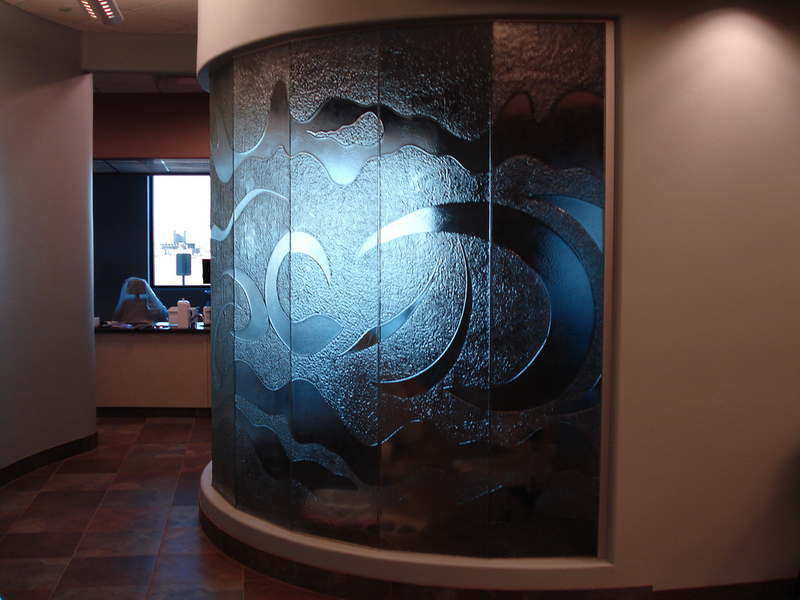 Architectural and design sandblasted glass. Custom Sandblasted Glass Window/Median. Cast/Sandblasted Glass.